All states have some sort of fraudulent conveyance law in place. People who are in trouble often try to put assets out of the reach of their creditors or the bankruptcy courts. Fraudulent conveyance laws are designed to prevent people from doing this. Basically, these laws ensure that an asset transferred to someone else, either as a gift or below fair market value, can be recovered by creditors or the courts. There is a look back period that will be examined to see if any fraudulent conveyances have occurred. For example, if you are taking your name off a deed to avoid your creditors, the creditors can undo the transaction if they try to collect your debt during the look back period. Taking your name off a deed without getting a fair market value for it and thus “giving” the property to the others whose names are on the deed is a fraudulent conveyance. This look back period can be as short as a year but are often as long as five years, and different types of assets are treated differently under bankruptcy and fraudulent conveyance laws. If you live in a state that doesn’t give your house much protection, it is possible to “strip” the equity out of your house by getting a mortgage and turning the equity into cash. Now, what do you do with the cash? If you try to give away the cash, that is a fraudulent conveyance. If you buy another asset, that is an asset that is available to your creditors. In bankruptcy cases, any assets moved away from yourself (hidden) anytime within 2 to 10 years prior to the bankruptcy can be recovered by the bankruptcy trustee and sold to pay your debts. The time period depends upon state law, nature of the debt, nature of the asset, and other factors. In almost all cases, anything you have done in the past year to transfer assets away from yourself can be brought back and given to your creditors. Giving property to your kids or spouse is a common conveyance, but it just won’t work. Note that converting an asset, such as cash, to a different form of an asset may protect the value from creditors. For example, IRAs are protected from bankruptcy under the Rousey v. Jacoway, US Supreme Court case in 2006. So, putting cash on hand into an IRA would protect that value from bankruptcy creditors. All ERISA plans are protected. ERISA plans are the retirement plans such as 401(k) plans and benefit plans such as HSA plans. Life insurance cash values and annuities are protected by some states. So, money could be placed in a life insurance policy without violating the fraudulent conveyance laws, and the money would be protected from creditors. Note that some states do limit the amount of money that could be put into a life insurance policy and have it be protected. Another option is to change the nature of an asset by moving it into a Limited Liability Company (LLC). Even if you know a lawsuit is likely coming, you can start putting assets into LLCs to protect them. If you have a property that is really upside down, or you have creditors lapping at your heels, I think you are a lot better off to try and use an LLC than an asset protection trust. My LLC Wizard course walks you through the reasons why, but basically you can avoid the fraudulent conveyance problems, because you are converting your asset into LLC membership interests (stock). 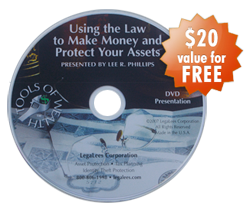 As explained in the LLC Wizard, membership interests in LLCs enjoy special asset protection. In theory, the most a bankruptcy trustee can do is get a charging order. You can use an LLC you already have (as long as the LLC hasn’t been named in the suit), or you can create a new LLC. There is nothing fraudulent about creating an LLC. Make sure you follow your state’s laws concerning multi-member LLCs and charging order protection. Make sure that your operating agreement is written to protect the company from your creditors. For example, don’t let your membership interests be transferrable. That way, the courts can’t order you to transfer the membership. Again, this is all explained in the LLC Wizard. When you move assets into an LLC, make sure you get membership interests (stock) back from the LLC for the transfer of an asset into the LLC. If you give $100 to IBM, you want a stock certificate back. That is not a fraudulent conveyance. It is simply changing one asset for another of equal value. However, once the asset is in the LLC, it is (in theory at least) protected from your creditors, because of the charging order concepts. 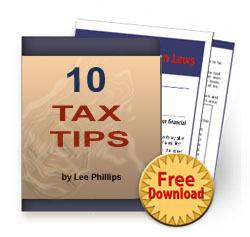 When a creditor gets a charging order, it is possible to shift income tax burdens to the creditor without ever making an actual distribution of cash to the creditor. This is an unpleasant situation for the creditor to be placed in. With no right to ever force a distribution, no right to manage or vote, and the possibility of getting phantom income that creates a tax liability, most creditors simply don’t try to collect through a charging order. They will settle their dispute with you and walk with what is often next to nothing, because that’s as good as they can get. The charging order aspect of the limited partnerships and LLCs is one of your most powerful asset protection strategies. Learn how to use them, and you can sleep a lot better at night because your assets are protected from the business liabilities and many of your personal liabilities. The time to protect yourself is before you get in trouble. Property that is transferred in anticipation of bankruptcy or litigation will usually be brought back and made available to your creditors by a court using fraudulent conveyance statutes. If you are doing well today, then you will want to refer to the Accumulation and Preservation of Wealth and structure your assets accordingly.